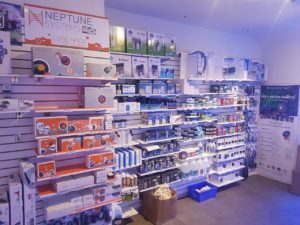 Toronto's Best Aquarium Store and Saltwater Corals ! Saltwater corals in the heart of Toronto ! 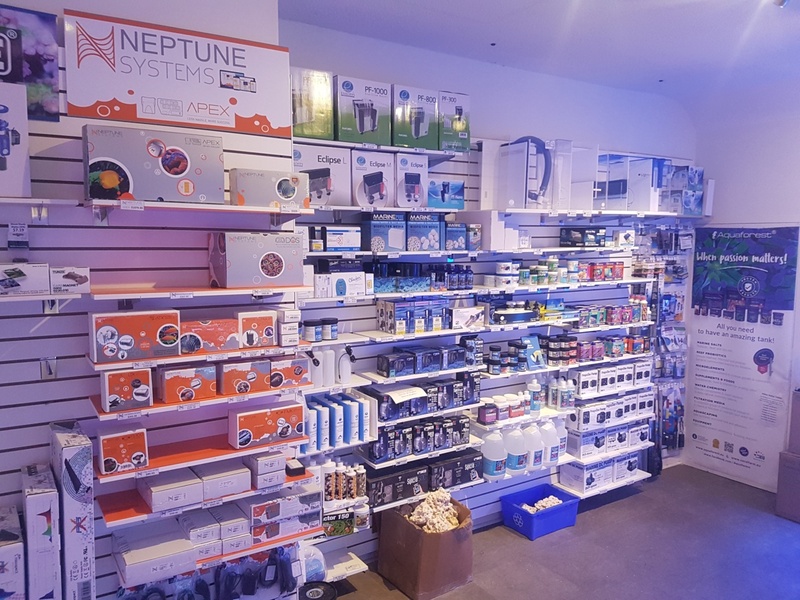 Our saltwater aquarium showroom is open to the public and located in central Toronto just minutes away from the 401. You can get directions to our aquarium shop by following this link. 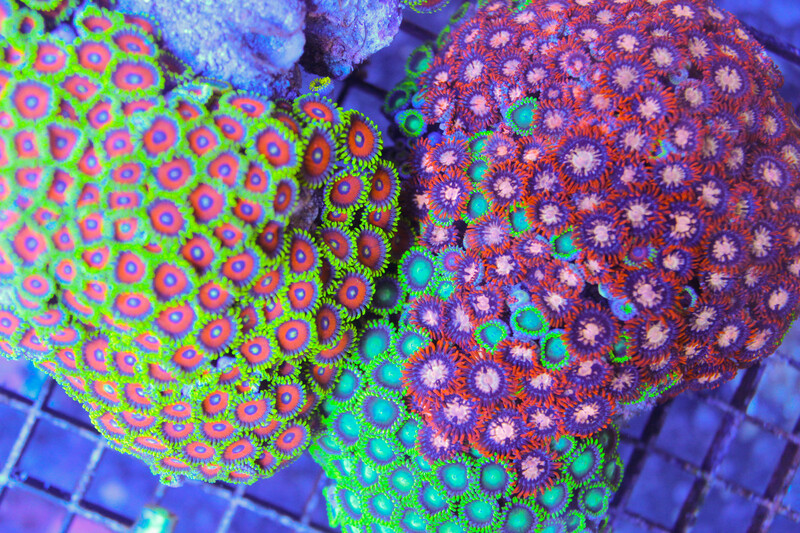 We have beautiful corals starting at only $9.99! Lots of easy and beginner corals. 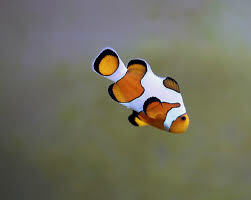 We are sustainable saltwater fish specialist in Toronto. Almost all of the salt water fish we sell are captive bred and tank raised. We carry the essentials you need and also the hardware you dream of ! Our friendly and knowledgeable staff is always here to help. We promise to only provide you with honest and helpful advice. Our #1 goal always has and always will be customer satisfaction. We truly love what we do and are here to help. We treat our customers the way we like to be treated. With a smile and a hello ! 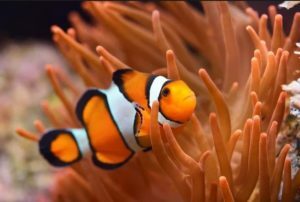 We only sell captive bred clownfish at Fragbox Corals. Our sustainable clowns are bred in Ontario are 100% ich and pest free! 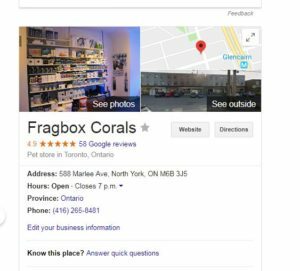 We are Fragbox Corals ! 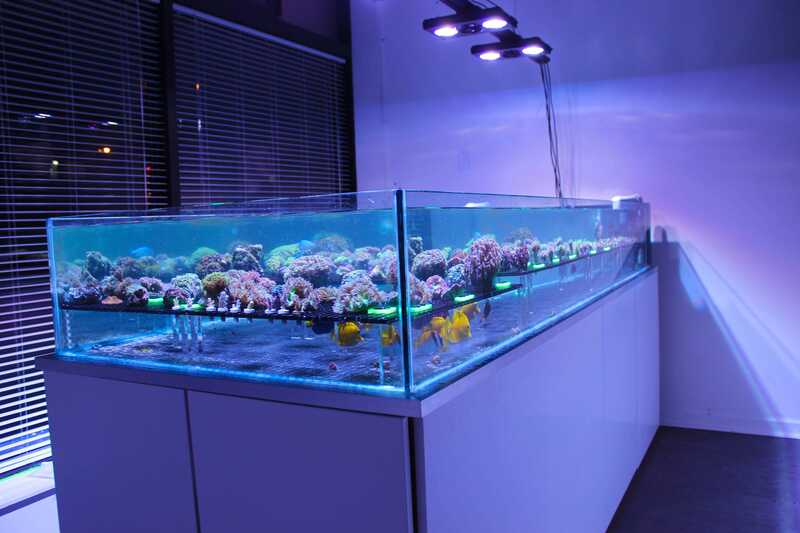 Serving Toronto and Canada for nearly 10 years with saltwater aquariums, saltwater fish and corals. 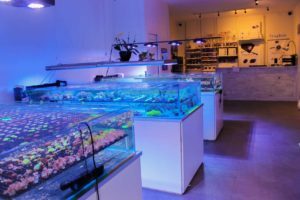 Our saltwater fish store is open to the public or you can shop online on this website. 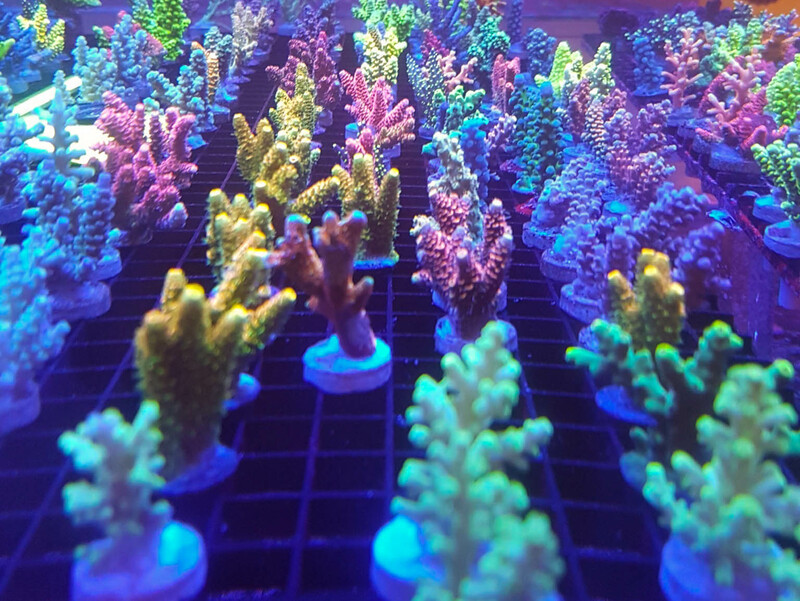 Our coral frags start at only $9.99 ! 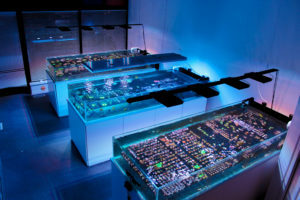 We also carry large salt water colonies and rare, exotic, high end collector pieces you wont find anywhere else. 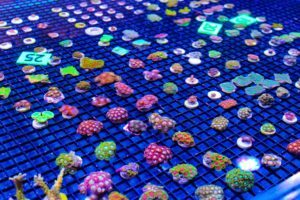 At Fragbox you are going to find corals you have never seen before. We also pride ourselves on carrying the healthiest saltwater fish in Canada. You will also be surprised by how fair our prices our. You will be overwhelmed by the amount of high quality aquarium hardware we sell from well known and trusted brands. 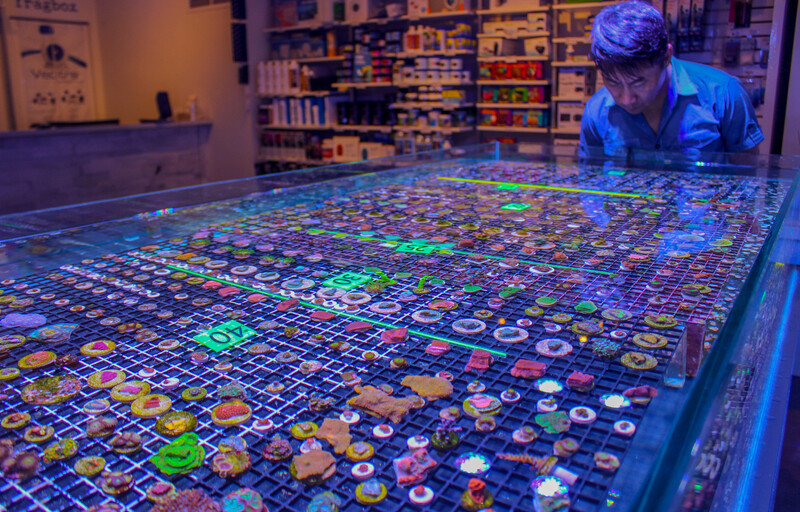 Our store is truly unlike any other in Toronto or even in Canada. We have customers drive from Montreal, Kingston, Saint Catherine, North bay literally everywhere to come visit us. Come drop by ! We would be more than happy to serve you. At Fragbox corals we focus on customer experience. 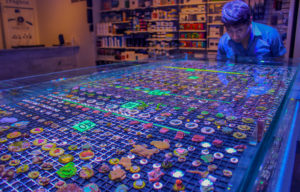 We like to get to know our customers on a more intimate level that most stores. 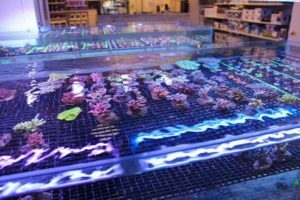 We promise our store will be unlike any saltwater coral store you have ever visited. This intro to our business was written by me ! a.k.a the owner a.k.a March. I am a salt water junky who loves corals and putting smiles on peoples faces. I can talk reef tanks and corals all day so please don’t hesitate to come pay us a visit. If you have any questions please feel free to call the store at 416-265-8481. Any of our employees will be happy to help you or you can ask for March if you would like me to answer any questions directly. Thanks for reading and we hope to meet you in person soon ! !